If I had my time again I would have decided to paint the Betrayal At Calth miniatures in the ‘correct’ Legion colourschemes. There are a number of reasons for this. 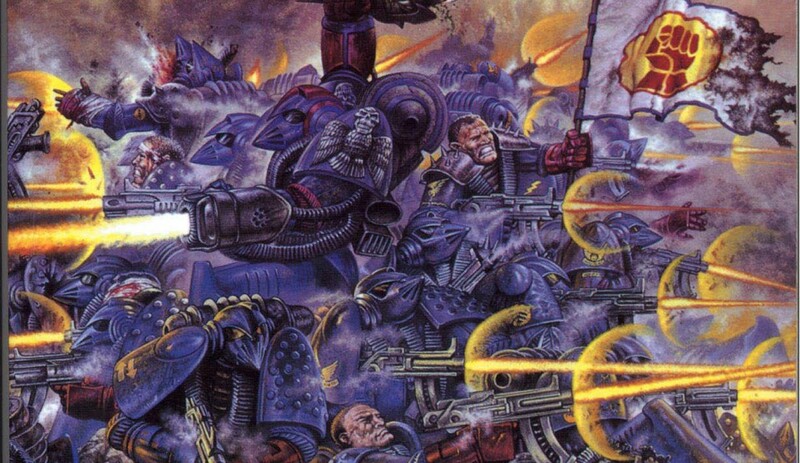 I have become more interested in the history and motivations of Lorgar and the Word Bearers since reading about them in one of the big expensive Horus Heresy rulebooks. The Ultramarines aren’t really as loathsome as all that, just a bit over-done. Imperial Fists and Death Guard might eventually get their own games and then what will I do? I should have been more patient. Imperial Fists and Death Guard are really hard to paint and I’m just not good enough at painting to have done anything better than an ok job. matey-boy on the left is supposed to look like he is reaching for his pistol…. the chap on the left here has had his left pauldron replaced. it was supposed to look like a field replacement, but it just looks crap. i don’t think that crests suit the Fists particularly. They look good. I have thought about and decided against doing a Fists army; yellow is just too hard! yeah, i wish i’d learned from the first batch. i’ve got it looking ok but it’s nothing special and it was a lot of hard work just to look like that.